Tainui Maori first settled the Waikato area as early as the fourteenth century. Their forebears sailed to New Zealand from Hawaiki. The Tainui canoe is buried at Kawhia, and it was from there that the people consolidated and gradually spread, settling most of the Waikato and the King Country. It was a good area for settlement, with excellent growing conditions and river access. Many pa were established in Te Awamutu and its districts due to these favourable conditions. From 1775 until approximately 1810 a number of prominent Waikato chiefs and warriors were born, including the first Maori King, Potatau Te Wherowhero of Ngati Mahuta, Te Rauparaha of Ngati Toa, Kawhia, and Hongi Hika, a Ngapuhi chief from the north, who played a significant role in Waikato history. It was Hongi Hika who invaded the Waipa triangle in 1822 at Matakitaki near Pirongia. The site of Matakitaki Pa was well suited to traditional Maori hand-to-hand combat, but the Pa’s inhabitants were defeated by the musket. This was the first time that European weaponry was used in the Waikato. The battle at Matakitaki was where the musket overcame the taiaha. Waikato leaders were quick to appreciate the value of the musket in battle, and traders soon appeared amongst the Maori people, trading muskets for flax. This was the first contact between Waikato Maori and Europeans. The introduction of the musket resulted in a period of intense tribal warfare. In 1834 missionaries visited the district, bringing changes to the Maori way of life. By the 1840s, after intervention from Wesleyan, Church of England and Catholic missionaries, there was peace. At Te Awamutu there were two important pa; Otawhao, a pa on the hill which is currently Wallace Terrace, and Kaipaka Pa, which is to be found at the end of what is now Christie Avenue. Otawhao, named after the Tainui tupuna (ancestor) Tawhao, was first visited by missionaries in 1834. It was at Otawhao Pa that the first church was built in 1838, and where in 1839 Reverend Ashwell asked the Whare Kura (Christian Maori) to leave and set up a separate community at Te Awamutu. It was this act that led to the establishment of the Otawhao Mission Station. Morgan, who resided at the Otawhao Mission with his wife Maria from 1841 until 1863, made personal contributions to the history of the area were made in the areas of religion, education and agriculture. During this period there was a significant increase in Maori involvement in agriculture, including the establishment of a number of farms and flour mills, largely funded by Maori parishioners. The resulting produce and crops supplied, amongst other places, the Auckland markets. During this period, at the request of the parishioners, permanent church buildings were erected; St John’s (1854) at Te Awamutu, and St Paul’s (1856) at Hairini (Rangiaowhia). The mission buildings were leased by the New Zealand Government in 1862, and John Gorst, as Civil Commissioner of the Waikato, took over the Otawhao Mission School. From within the mission site the printing press Te Pihoihoi Mokemoke began printing, in Maori, opinion opposing that of the King Movement newspaper Te Hokioi. In March 1863 Ngati Maniapoto seized the government press, and only after negotiation returned it onto the Queen’s land at Te Ia. This seizure was one of the many factors that led to the expulsion of Europeans from Te Awamutu and its districts, which in turn led to the outbreak of the Waikato Wars (1863-1865). In 1864 the Otawhao Mission Station site became the headquarters of General Cameron’s army. At the conclusion of the Waikato Wars ex-militia and settlers became the first Europeans to populate Te Awamutu. This was followed by the opening up of the area with the railway in 1880, and further development of the economy through farming, particularly dairying. 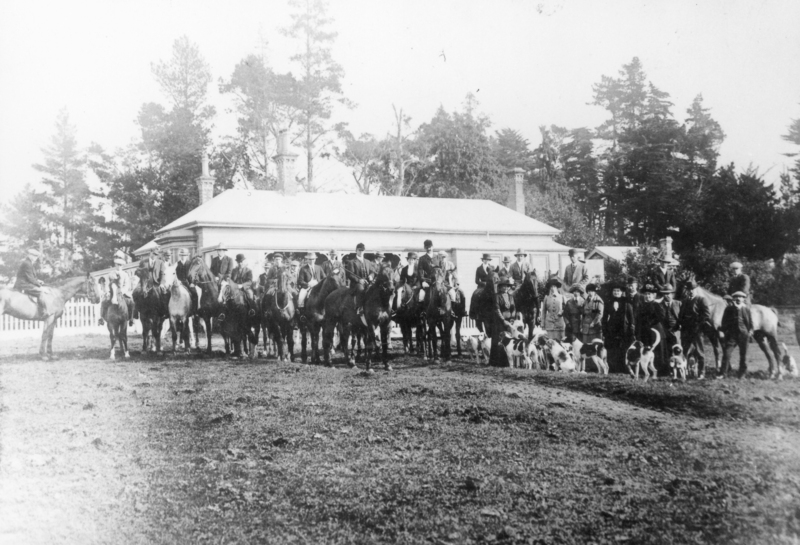 The sale in 1907 of the Otawhao Mission Farm signalled the growth of the town of Te Awamutu.